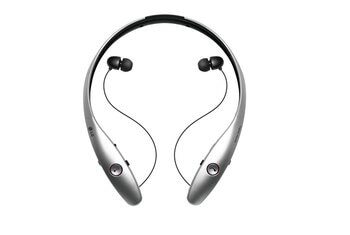 The flexible neckband design helps to fit the contours of your neck--and it is comfortable to wear. The fashionable design is lightweight, bendable, and more subtle than comparable products. The manufacturer promises eartip replacements for life. Sound quality may disappoint audiophiles. The eartips lack wings, and they may loosen when you exercise. The rubber can pick up grime easily. 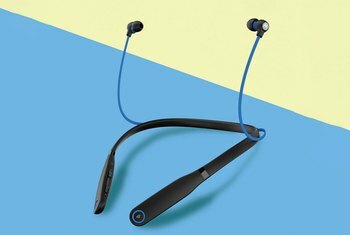 Compact and lightweight, the Shadow Wireless lets you control two devices at the same time, so you can pick up calls while listening to your tunes. 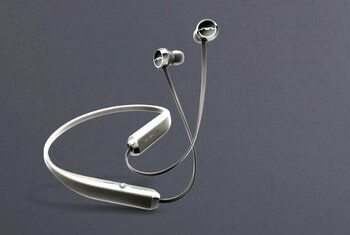 Its special design provides a flexible and comfy fit, and it delivers well-balanced sound all-around. 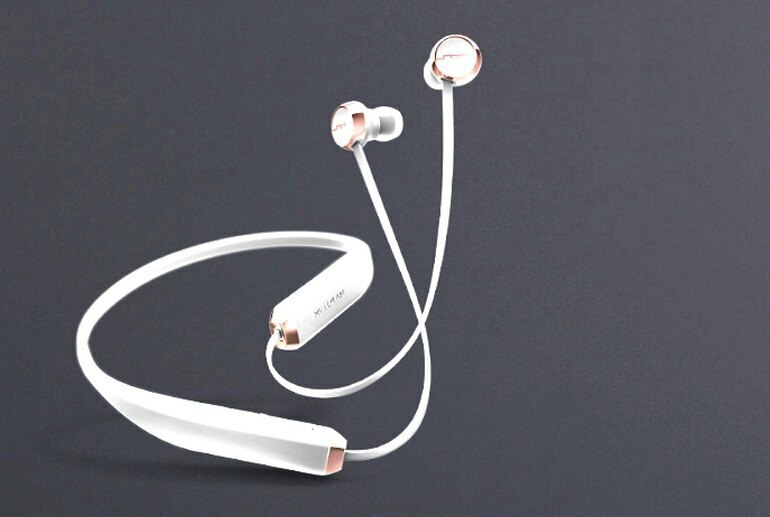 The headphones are sweat-resistant and water-resistant, and deliver about eight hours of battery life. You'll also find a three-button remote and microphone. 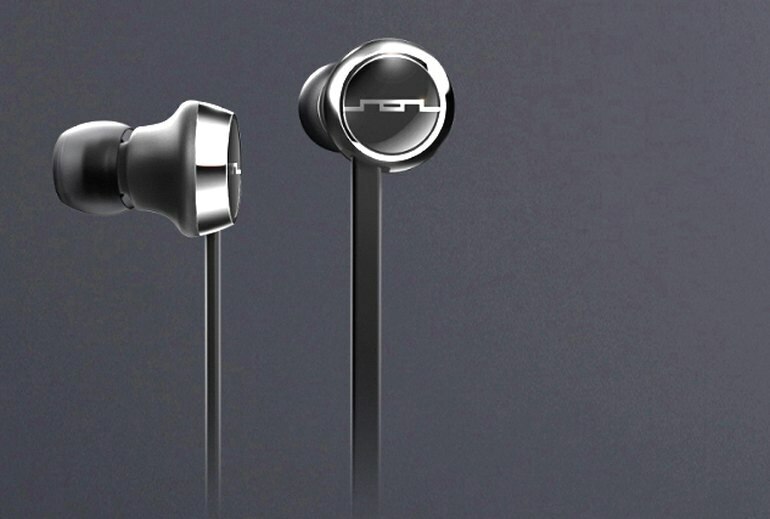 There's no storage pouch included with the price--it's $10 extra on Sol Republic's site--but you do get four sizes of eartips and a USB charging cable. Battery life is rated for 8 hours, and in our usage, it’s able to do just that – 2 hours at the gym each day for 4 days. We wouldn’t say that it’s a long tally, considering that some over-the-ear styles can reach well over 10 hours, but we’re very content by what it offers. 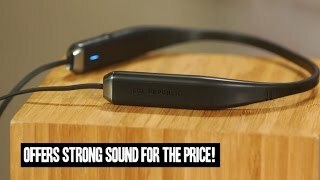 The Shadow Wireless comes across as a more aggressive, forward headphone, and is going to be a better match for those who listen to more hip-hop and techno music (yes, Sol Republic is probably targeting a little bit younger demographic than LG is with its Tone line). The largest versions fit snugly into my ear and sealed out most background noise. I couldn't hear weights dropping in the gym while I worked out, but the faint roars of passing subway trains when I was commuting did come through. [W]hen the earphones weren’t in, the dangling buds were unsightly and quite annoying to walk around with although this is easily remedied by folding and pocketing. One feature that I think really needs to be added to these headphones is an auto off feature. As is, the headphones will stay on until you manually power them off. As you can imagine, this has a negative effect on battery life. 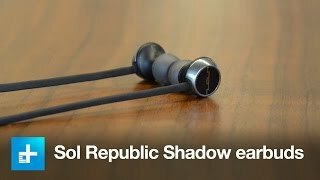 [The Shadow] managed to stay in my ears for the duration of a red-eye flight, which is a marked improvement over other Sol Republic in-ear headphones I've tried in the past. As long as you really stuff the tips into your ears (I recommend making the requisite ear-opening yawning face while you put them in), you get impressively full and even sound out of the headphones. The Shadow’s buds are simple and round, while the BT 100 NC’s are a weird shape that looks like a tall beer can next to a small spaceship. We wanted to like them; but the Shadow’s buds went in more naturally, stayed in securely, and fit better. At one point I had them draped from my neck while having a conversation with a colleague, and he didn't even notice they were there. And when you're not wearing the Shadow, it balls up small enough for your pocket. They do an excellent job keeping their Bluetooth connection and drop offs are rare if not non-existent. And they are surprisingly comfortable. 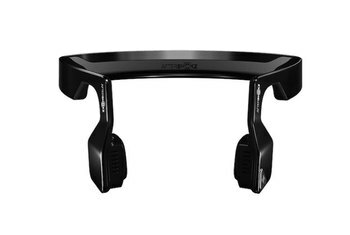 The thin, light band is barely noticeable even after an extended period of use. The only real sound issue I had was while making and receiving phone calls through the built-in mic — the person on the other side always sounded a little tinny and distorted. It was the same with the Shadow paired to my iPhone 6 on AT&T and to a Nexus 6 on Verizon. In all my usage in the weeks preparing this review, I have never had a bud come out of my ear unexpectedly. With that said, I did not exercise with them except for a short test run. 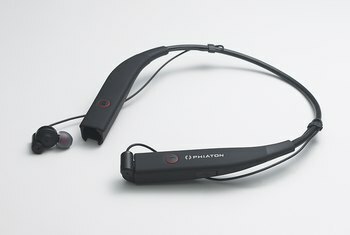 That trial showed me what I expected, which is that these are not ideal exercise headphones. [W]e were put off by the Shadow’s design when we first saw them — the whole over-sized electronic necklace thing just didn’t look like it would be comfortable. But we would soon learn our imagination was misleading us. After we put the Shadow on one morning, we didn’t take them off for the rest of the day.